Walking across the Field. is a interactive installation made by LED lights and optical fibers. 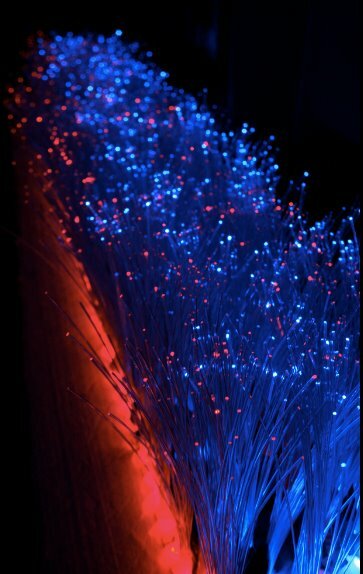 When people come close by, red and blue light would turn on, when people start to talk, the fibers would wave slightly. this installation was a metaphor of the relationship between human beings and nature.